2nd: A Kennedy singled to center. 4th: A Kennedy grounded into double play, shortstop to second to first, E Patterson out at second. 6th: A Kennedy grounded out to pitcher. 9th: A Kennedy struck out looking. 2nd: O Cabrera grounded into fielder's choice to shortstop, A Kennedy out at second. 5th: O Cabrera singled to right. 1st: S Hairston doubled to deep center, O Cabrera scored. 3rd: S Hairston hit by pitch. 5th: S Hairston grounded into double play, shortstop to second to first, O Cabrera out at second. 9th: S Hairston grounded out to third. 1st: J Cust singled to left, S Hairston to third. 3rd: J Cust grounded into double play, pitcher to shortstop to first, S Hairston out at second. 1st: K Suzuki singled to center, S Hairston scored, J Cust to second. 3rd: K Suzuki grounded out to shortstop. 6th: K Suzuki singled to center. 1st: R Sweeney grounded into fielder's choice to shortstop, K Suzuki out at second, J Cust to third. 4th: R Sweeney singled to left. 6th: R Sweeney flied out to left. 1st: D Barton grounded out to second. 4th: D Barton singled to right, R Sweeney to third. 6th: D Barton grounded into fielder's choice to second, K Suzuki out at second. 8th: D Barton doubled to deep right, R Sweeney to third. 2nd: M Ellis flied out to center. 4th: M Ellis hit sacrifice fly to right, R Sweeney scored. 6th: M Ellis homered to left, D Barton scored. 2nd: E Patterson grounded out to first. 4th: E Patterson grounded into fielder's choice to pitcher, D Barton safe at third on throwing error by pitcher S Mitre. 6th: E Patterson singled to right. 8th: N Garciaparra grounded out to pitcher. 1st: D Jeter singled to center. 4th: D Jeter flied out to right. 6th: D Jeter singled to center, M Cabrera and C Ransom scored. 7th: D Jeter grounded out to first. 1st: J Damon walked, D Jeter to second. 2nd: J Damon grounded out to second. 4th: J Damon popped out to second. 6th: J Damon doubled to deep right. 8th: J Damon flied out to left. 1st: M Teixeira struck out swinging. 3rd: M Teixeira grounded out to shortstop. 5th: M Teixeira flied out to left. 6th: M Teixeira singled to center, J Damon scored. 8th: M Teixeira doubled to deep right. 1st: J Posada popped out to second. 5th: J Posada grounded out to shortstop. 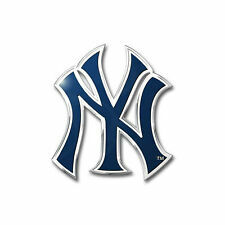 6th: J Posada walked, M Teixeira to second. 1st: H Matsui singled to left center, D Jeter scored, J Damon to second. 3rd: H Matsui flied out to right. 1st: N Swisher walked, J Damon to third, H Matsui to second. 3rd: N Swisher struck out swinging. 7th: N Swisher doubled to deep right. 1st: R Cano doubled to deep right center, J Damon, H Matsui and N Swisher scored, R Cano thrown out at third attempting to advance on play. 4th: R Cano lined out to first. 6th: R Cano grounded out to second. 7th: R Cano flied out to center, N Swisher to third. 2nd: M Cabrera fouled out to catcher. 4th: M Cabrera singled to center. 2nd: C Ransom flied out to right. 4th: C Ransom doubled to deep left, M Cabrera to third. 6th: C Ransom doubled to left, M Cabrera to third. 7th: C Ransom struck out swinging. Derek Jeter hit a go-ahead single, Mariano Rivera earned a four-out save and the New York Yankees capped a stellar homestand with a 7-5 victory over the Oakland Athletics on Sunday.